Just another beautiful day in Delaware Park. Hoyt Lake in Delaware Park. Delaware Park is enjoyed by young people. 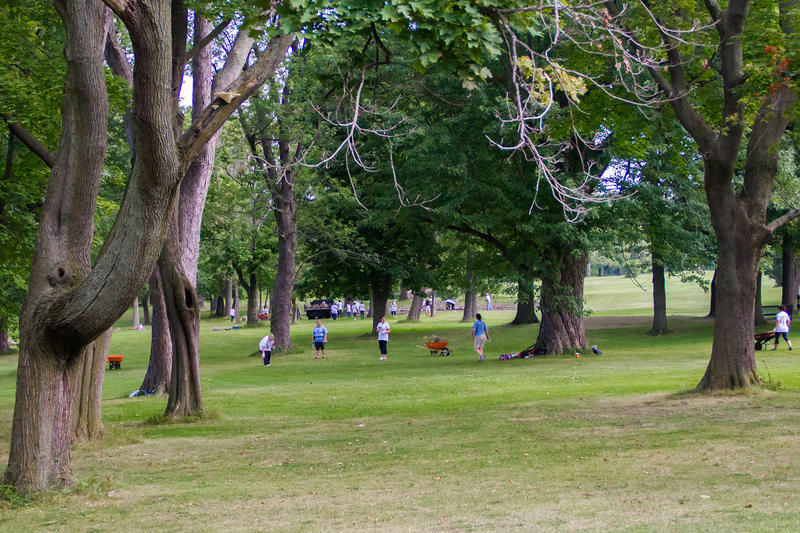 Delaware Park is enjoyed by families. Looking over Hoyt Lake in Delaware Park. "There's so much right with it. It's beautifully kept. It's well used." That was Joann Steinmetz of the North Buffalo Organization talking about Delaware Park. She was among those attending a public meeting on the park, held in the nearby Buffalo Seminary chapel. 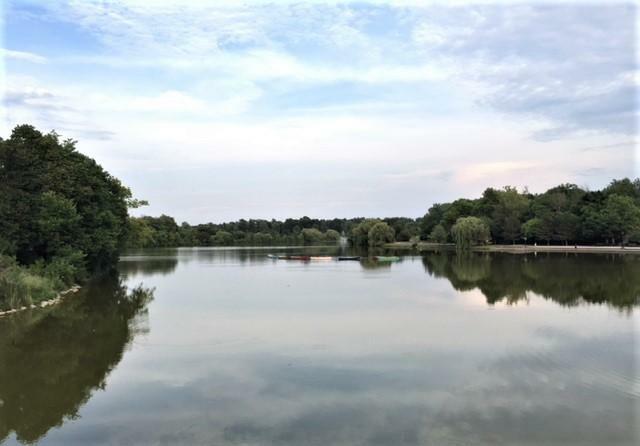 Monday night, the Conservancy continued its neighborhood meetings as part of its effort to have a new five-year plan for all of the organization's parks approved by May. "There's a lot right and I really can't find much wrong," said longtime environmental advocate Jay Burney, who attended to see what is next for the parks. Conservancy officials say many of the most serious needs have been addressed, with $19 million over 10 years for the agency and City Hall. Councilmember Joel Feroleto said the biggest complaints he hears is the mess park patrons leave behind. "Garbage and debris that's left in the park, a lot of times at the basketball courts. I go by and run and bicycle there frequently and early in the morning, you notice a ton of debris there," Feroleto said. 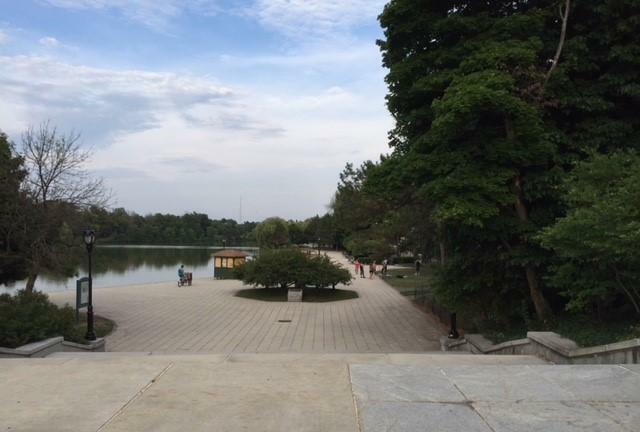 "The Olmsted Conservancy does a great job there. They have two staff members every single day go to pick up the trash, but they spend about four hours a day just picking the trash up there." Conservancy Director of Planning and Advocacy Brian Dold said there is a compromise in all of this, meshing what want people want in the future with the need to preserve the historical aspects of city parks. Bikers relax in Delaware Park. "We are finding through our park user analysis a lot of people are using things for structured recreation, but passive recreation and unstructured recreation is actually almost more used than the active recreation," Dodd said. "So just lawns for sunbathing and pathways for walking and benches for sitting are really what we find a lot of people are looking for." That brings up the issue of golf courses in South Park and Delaware Park. Not everyone wants to see them stay, at least in their present form. Steinmetz said something has to be done about the golf course in Delaware. "I wouldn't necessarily recommend removing the golf course completely. Perhaps making it nine-hole golf course would be a good remedy," she said, "but we should open up access to the park for nature walks or create ponds, just make it more user-friendly for those who don't play golf."